As the Atlanta Braves return to the diamond in Orlando, Fla., a few roster guarantees exist. Freddie Freeman enters yet another season as an MVP candidate. Ender Inciarte is a defensive star. Ozzie Albies, Ronald Acuña and Luiz Gohara are among the most exciting young players in baseball and they will eventually call each other teammates once again. For a young group, though, spring training can be viewed as a proving ground. Here are four players — both major-league staples and promising talents — with something to prove this spring. Copyright The Associated Press. All rights reserved. Newcomb established himself as a quality major-league arm during his rookie season. In 19 starts, he posted a league-average park-adjusted ERA and 1.3 wins above replacement. Among the 12 MLB rookies to reach the 100-inning mark, the left-hander ranked third in fielding-independent pitching (4.19) after striking out 23.7 percent of the batters he faced with his nasty fastball-curveball combination. 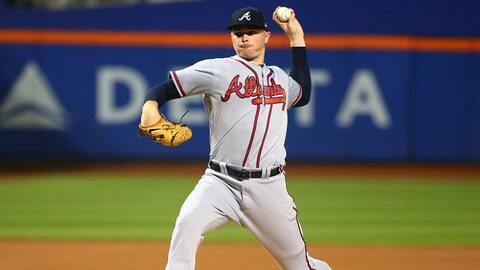 However, Atlanta’s centerpiece return in the Andrelton Simmons trade is still working on his command. The only pitcher in the majors to throw more innings with a higher walk rate was Wade Miley. 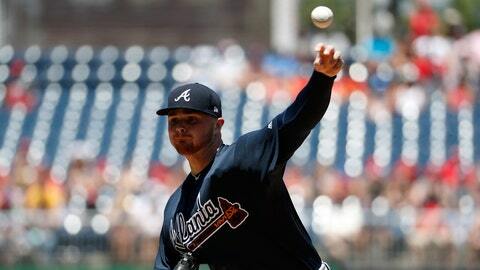 Though Newcomb is considered a frontrunner in the race for the final two rotation spots behind Brandon McCarthy, Julio Teheran and Mike Foltynewicz, the presence of two talented left-handers with MLB experience (Luiz Gohara, Max Fried) and top prospects Mike Soroka, Kolby Allard and Kyle Wright rising up the ranks means the focus on command will only intensify in Year 2. Quick rewind on the past three years of Dansby Swanson’s career: The No. 1 overall draft pick gets traded to his hometown team, rockets up through Atlanta’s farm system as a consensus top-10 prospect, excels in first taste of major-league action and then struggles mightily in his first full season, resulting in a surprise midseason demotion. Does that cover it for a shortstop who just turned 24? 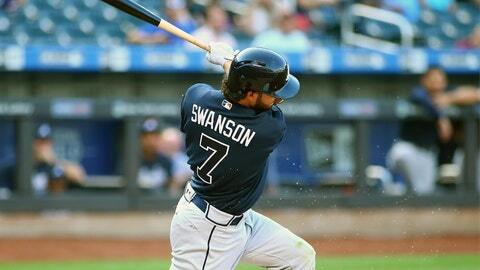 Swanson’s late-season improvement could not mask his disappointing final slash line of .232/.312/.324 with six homers, hitting 44 percent below league average, but he enters the campaign as an apparent lock in the starting lineup with plenty of time to tap into his potential. Still, as the Braves continue to search for long-term answers within its own system, Swanson’s third MLB season could go a long way in proving the franchise's middle infield is in good hands. 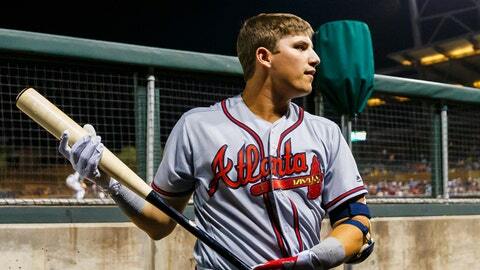 The Braves' future at third base remains up in the air, but there is growing sentiment that Austin Riley — at long last — could be the solution. His second major-league spring training could further solidify his place in the pecking order. In his age-20 season, Riley joined impressive company by raking at the Double-A level and then continued the offensive fireworks in the Arizona Fall League. He owns a .487 slugging percentage and 58 home runs in his pro career. With Johan Camargo in camp and the franchise allegedly interested in only one-year deals for any potential free-agent addition, the interest is ramped up for Riley's camp — particularly when considering the overloaded 2018-19 class of free-agent third basemen. A longtime minor-leaguer in the Royals, Yankees and Cubs systems, Lane Adams was a surprise contributor for Brian Snitker’s coaching staff. The athletic outfielder posted 110 weighted runs created plus in 122 plate appearances, occasionally forcing his way into the lineup in the second half while playing passable defense. Among returning Braves players, only leadoff staple Ender Inciarte stole more bases (and Adams was a perfect 10 for 10). Is that sustainable? Adams is already the favorite to claim the team’s fourth outfielder spot — upon Ronald Acuña’s arrival — ahead of offseason addition Preston Tucker and Dustin Peterson, but another solid performance this spring could spell more playing time early for Adams if and when the team sends its No. 1 prospect to Triple-A Gwinnett to open the season.